Protect all animals and devotees during pregnancy. Who is pretty, who melts with mercy, I sing about you. By lucky devotees, the Vajapeya sacrifice. When the delivery time comes very near for them. 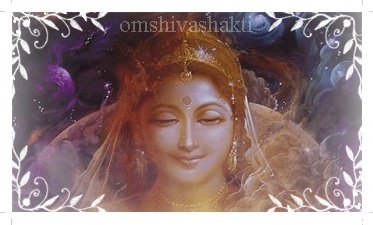 And is the mother of the entire universe. Would lead to sons, grand sons and daily luck. Composed by Sri Anantha Rama Deekshithar. Sage Nithuvar and his wife Vedhika were living in this forest which was full of Jasmine flowers when the following incident happened which lead Parvathi devi to take the avatar of Garbarakshambika to give special protection to women during pregnancy. In the ancient time, two Rishies ( saints ) Gowthama and Gargeya did penance in this garden of Jasmine flowers where the ashram was situated. The story is that, Sage Nithuvar was living here with his wife Vedhika. One day when Sage Nithuvar was away, sage Urdhvapada a very angry sage visited their hermitage for alms. Vedhika was tired and sleeping deeply without showing hospitality to the sage..infact she was having pains due to pregnancy but Urdhvapada unaware of her difficulties got angry that she din’t bother to wake up and felt she could be sleeping purposely , decided to curse her .The curse made her get diseased and it also hurted the child in her womb.Vedhika was in worst pain of her life and deeply hurted that her own child is being gradually destroyed and prayed for to Goddess Parvathi to help her ….Goddess parvathi took the avatar of Garbarakshambika and appeared before Vedhika and protected her child in the womb by holding it in a “kalasam ” – divine pot..The goddess has helped the child grow in the divine pot untill it grew as full fledged child. .. here goddess herself has saved a womens pregnancy and blessed her. When Vedhika cried as she was not able to feed the baby with her milk, A sacred cow came infront of the temple and made a lake of sacred milk. .
Vedhikai prayed to Goddess Garbarakshambika to remain in the temple forever and bless all women with good soul mate, child birth hand safe pregnancy. The name of the goddess carried the beautiful meaning in itself…Garba means Pregnancy, Raksha means “To protect ” and Ambika is one of the names of Parvathi devi .so she is all about protecting a womens life blessing her with a kind hearted husband,a good child and a happy family.